Maliki nintirringutja-ku introduces new staff and visitors to the culture and region of the Ngaanyatjarra Lands, which includes 12 desert communities in one of the most remote areas of Australia. An intercultural, Aboriginal-majority team did the concept development, research, design and writing of this publication. 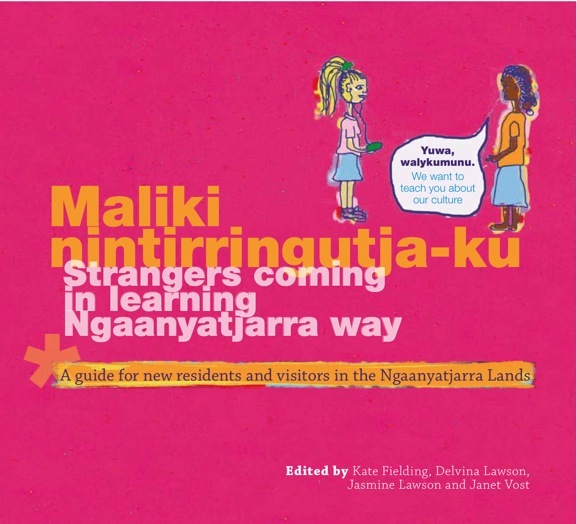 Maliki nintirringutja-ku features original artwork, lively illustrations, comics and engaging, accessible writing. Maliki was championed by cohort of middle-aged cultural leaders, with strong support from community elders. Maliki nintirringutja-ku was edited by Kate Fielding, Delvina Lawson, Jasmine Lawson and Janet Vost.